In summer 2015, the AYUSS wholesale and retail company, the largest in the Russian Far East, completely moved its retail shops to a bonus loyalty programme. AYUSS has been ready for bonus programme integration for a long time, just as most of the major retail networks in Russia, but the lack of offers from companies able to implement large-scale and effective bonus programmes, as well as a constant load of their own marketing and IT specialists, postponed the matter. Having analysed a 15 years of experience of the Zolotaya Seredina Group in implementation of such projects, as well as the provided economic model and technical solution, the AYUSS management decided to sign an agreement for the development, integration, and further support of the Zolotaya Seredina Group programme. Negotiations between AYUSS and the Zolotaya Seredina Group ended in late March 2015. Since then, the Zolotaya Seredina Group started planning a loyalty programme and the integration of the customer’s accounting programme (Shtrikh-M based on 1C: Enterprise) with the used processing & CRM system. It was important for the AYUSS management to create a bonus programme that could unite all of their retail networks and that would be the most integrated in the cash register software in order not to change the work algorithm of cashiers. 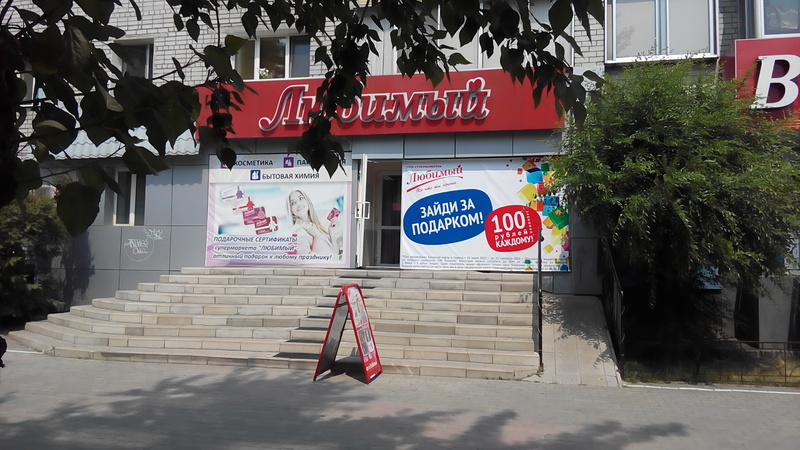 Currently, AYUSS has 4 formats of retail networks in the Russian Far East: The Lyubimy supermarket network (123 shops), the Ganza supermarket network (30 shops), the Unimart supermarket network (14 shops), and the Budte Zdorovy pharmacy network (11 pharmacies). What was challenging in implementation of a single bonus programme is different formats of retail networks, their wide geography, independent management in each area (Khabarovsk and the Khabarovsk Region, Primorye, the Amur and Sakhalin Regions, Yakutia), and, therefore, their various commodity matrix, discounts system, and the buying behaviour model. According to Vitaly Basmanov, project manager of the Zolotaya Seredina Group, he and his colleagues managed to develop such a project of a bonus loyalty programme that would enable the retail divisions of AYUSS to significantly optimise the cost of loyalty programmes and marketing campaigns while increasing sales to existing customers. On average, the companies who have entrusted us the management of their loyalty programmes, reduced their costs by 30–40%, with the increase of turnover by the programme’s participants by 20%. The first stage lasted 45 days. During this time, the Zolotaya Seredina Group experts prepared and agreed upon a single for all retail divisions concept of bonus programme, conducted the integration of their CRM system with the Shtrikh-M accounting software, developed all promotional materials and instructions, and worked on all the business processes of the programme. As Vitaly Basmanov says, any expert who has ever dealt with the preparation and launch of the bonus programme can understand what kind of work was done by the Zolotaya Seredina employees. When developing a project of this scale, we needed all the 15 years of our experience in the field of loyalty programmes. The loyalty programme for AYUSS was turnkey developed with the condition of its further support, and all the necessary components were carefully prepared for this purpose: marketing policy development, the issues of legal registration and taxation, studying and minimising the risks arising in the course of managing a large number of customer accounts, as well as promotional materials. For efficient customers query processing, a round-the-clock Call Centre has been created. Once again, Sovcombank has become a partner of the loyalty programme implemented by the Zolotaya Seredina Group with retail networks, thus enabling AYUSS to significantly reduce the cost of launching the programme, as the emission of cards and accompanying printed materials for the project is provided by Sovcombank. Now AYUSS has deep analytics of their customers’ behaviour that allows for assessing the customers migration from one type of business to another, to manage consumer behaviour, and to conduct effective marketing campaigns tailored to the individual consumption of each customer. But the work of the Zolotaya Seredina Group does not end in this project, because they were entrusted once again with full technical and marketing support of a loyalty programme of a large network.